AOL is preparing to shut down the video game website Joystiq after over ten years of publication, according to people familiar with the situation. 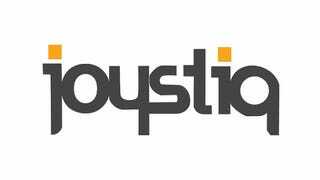 It's unclear exactly when Joystiq will close, but we've heard that this is connected to a larger-scale reorganization planned by AOL, the longrunning media company that has had more than a few struggles in recent years. Even as they close the gaming news site, AOL may use the name "Joystiq" for other branding purposes, according to one person familiar with goings-on at the company. Recode first reported the news of Joystiq's shutdown. When I spoke to him yesterday, Joystiq editor-in-chief Ludwig Kietzmann declined to comment on this story, but this morning, Joystiq reported that they were "aware of the closure," despite the fact that AOL corporate had not informed the staff. Last week, the AOL-owned TechCrunch reported that their parent company was planning a restructure that would lead to layoffs and site closures. Though TechCrunch didn't offer specifics on which sites AOL would be closing, the report did mention that Joystiq's traffic had declined by 18% in the last year. In 2011, then-editor Chris Grant left the site along with several other senior editors to found Polygon, a gaming site under the Vox Media umbrella. Since then, Kietzmann has been editor-in-chief of Joystiq.